Can this shirt be made? 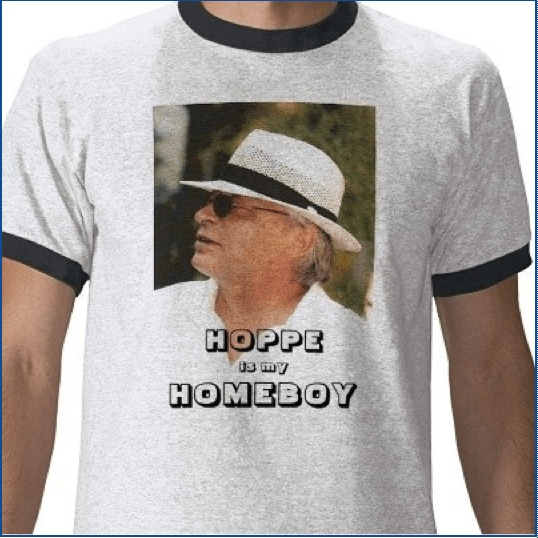 I’ve seen a guy wear a “Hoppe is my homeboy” t-shirt. It was in Minneapolis in 2008, at the concluding rally for Ron Paul’s presidential campaign. I thought it was a Mises institute product, but I guess it wasn’t then.